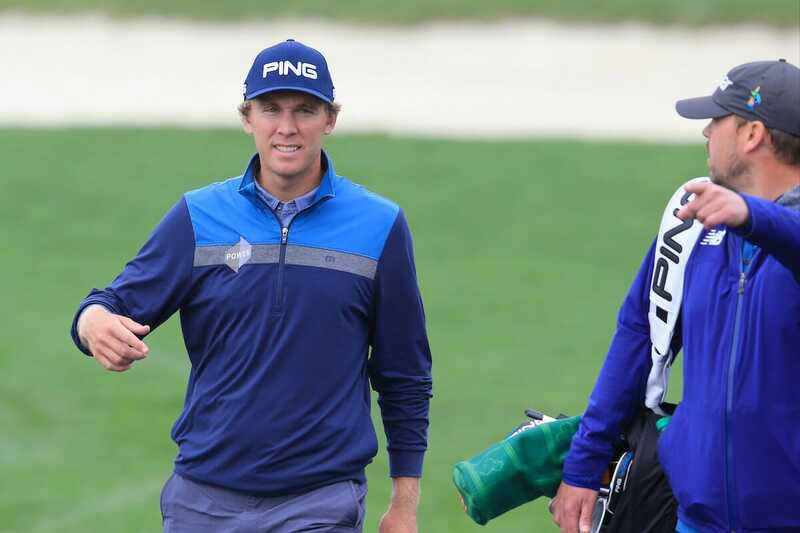 Despite dropping his only shot at the last hole Seamus Power was very pleased in posting a four under par 68 on day one of the Wells Fargo Championship in Wilmington, North Carolina. Power was at five under par and sharing fourth place heading down the par four ninth hole, and the last of his round, when he missed the green right before then chipping to seven feet but then missing his par and sending the ball some two feet past the flag. The West Waterford man is contesting the $US 7.2m event for a first occasion, finished the opening day in a tie for sixth. Italy’s Francesco Molinari enjoyed the first round lead courtesy of a six-under par 66 and being handed the leading honours after the American duo of Brian Campbell and Grayson Murray, who had been tied at the top with a hole to play, each dropped a shot of their last holes. Power headed straight for the practice range after his round to work on this driver after hitting just six of 14 fairways. Power had commenced his round from the short downhill par three, 1oth with a birdie and had raced to three under par through just four holes with birdies also at his third and fourth holes. He then moved to four under when he hit a 136-yard wedge to 11-feet and knocked in the birdie putt and then after six straight pars he found the green in three at the par five sixth hole, or the 15th of his round, and holed the 12-foot birdie attempt. “I’m not disappointed in dropping a shot at the last as overall it was a pretty decent day for me,”said Power. “I got off to a great start and overall very pleased with my effort. I also did not get frustrated even though the course is very tricky. “Also after playing, and also enjoying very much last week’s Zurich Classic team event, it is good to get a scorecard back in the pocket. “So, overall very pleased as I have given myself a good foundation I can now build on”. With heavy rain forecast overnight and up to around 11am Friday local time, it could be a late tee time for Power and fellow Irishman Graeme McDowell who are due out in the first half of the second day. It was a disappointing opening day for Shane Lowry after shooting a three over par 75, and the Clara man is not due out to 12.44pm (5.44pm Irish) in a battle to make the halfway cut.